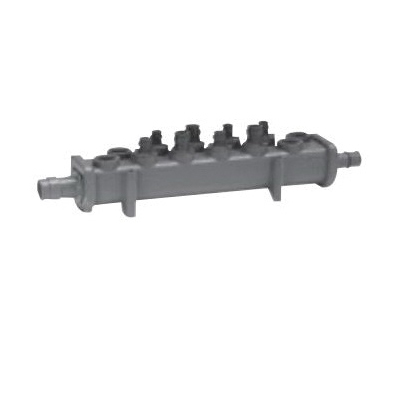 The EP Flow-through Valveless Manifold is available in 8, 10 or 12, 1/2 in ProPEX outlets. The manifold comes with either 1 in ProPEX inlets or 3/4 in and 1 in ProPEX inlets. All outlets are 1/2 in ProPEX connections. The manifold is made of EP, the same durable material used in Uponor's EP fittings.